McKee’s 37 T-Shirt Combo Choose Your Shirts! If you love detailing and you want to tell it to the world, you need a McKee’s 37 T-shirt. But which one should you get? The answer is simple: Get them BOTH! The McKee’s 37 T-Shirt Combo offers a great deal on two McKee’s 37 T-shirts. Whether you want two styles, two colors, or maybe you want to share with a friend, this deal is for you! 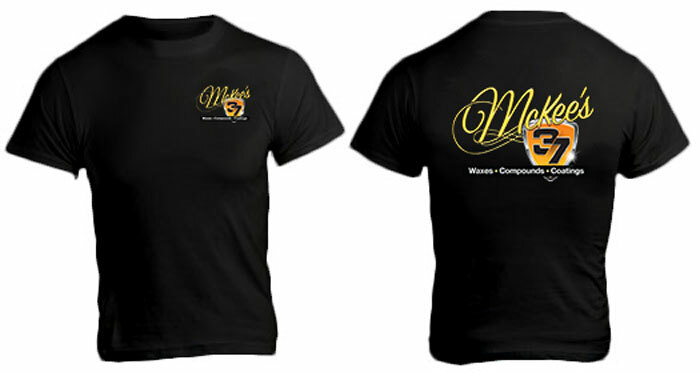 McKee's 37 Official Brand T-Shirt shows the world you are serious about one thing – quality car care. Whether you are a professional detailer, or someone that just likes to wax on the weekends, your McKee's 37 T-Shirt proves your capability and success. Made from 100% preshrunk cotton, McKee's 37 Official Brand T-Shirt features a screen-printed logo on both the front right breast and a larger logo on across the back. While you’re stocking up on your favorite McKee's 37 Car Care Products, make sure you grab your matching McKee's 37 Official Brand T-Shirt! Available in medium, large, extra large, and extra extra large. Choose from black or light blue. The McKee’s 37 Detailer at Work T-Shirt is the perfect t-shirt for serious detailing enthusiasts. The unmistakable road sign-inspired message on the back let’s everyone know to step aside and watch a paint transformation happen! 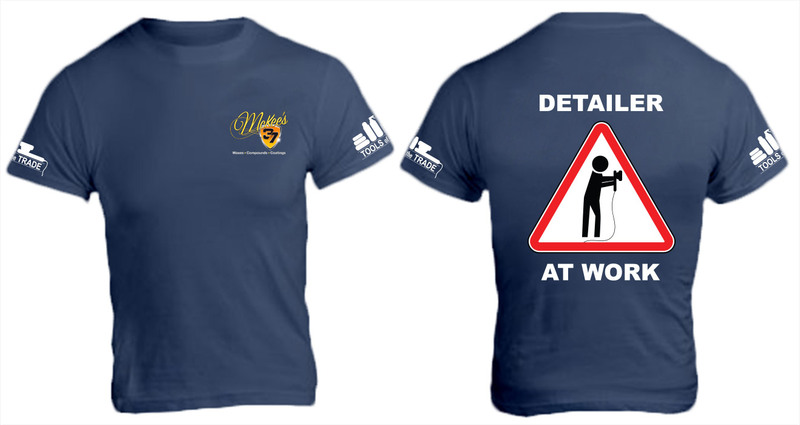 This comfortable and stylish t-shirt is boldly screen printed on the back with the “Detailer at Work” warning sign, and also features the McKee’s 37 logo on the front breast, along with a complementary “Tools of the Trade” silhouette on each sleeve. A total retail value of $39.98, Save $9.99! Great shirt 5 This is a great looking shirt to represent a great brand. Fits great and runs true to size. Build Your Own Bag Kit!